11.9" x 11.9" stitched on 14 count. 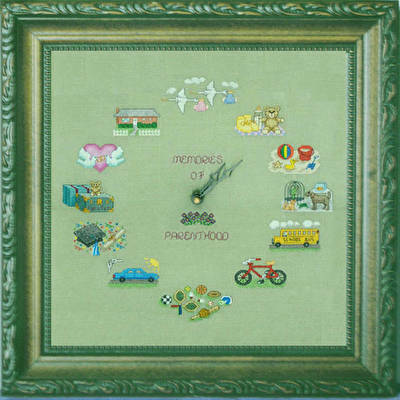 Memories of Parenthood cross stitch pattern... The clock hands pass pictures in number positions of growing up, and they repeat for each generation. The center features the words Memories of Parenthood and flowers. Easy to read graph. Four pages of instructions.